Commercial sites are a constant hub of activity. Depending on the type of activity taking place, excess sound can become an issue for nearby residents and businesses, or staff working on the site itself. This article outlines how modular sound panel walls offer an efficient, quick and aesthetically pleasing solution to most commercial noise abatement and sound reduction requirements. Keeping noise levels at an acceptable level can be achieved by surrounding the commercial site with a high quality sound wall. There are various options available on the market, including Modular Wall Systems BarrierWall. BarrierWall is designed to be an aesthetically pleasing sound insulation wall. Offering privacy, security, and sound abatement with rapid construction times, BarrierWall is a popular alternative to traditional sound wall alternatives available on the market, such as brick, block or concrete walls. The level of noise reduction that can be achieved with any commercial walling solution is dependent upon many factors. Terrain, noise source & type and wall height all influence the noise reduction level that is attainable. Modular Wall Systems’ BarrierWall uses the 75mm composite AcoustiMax panel, which will generally result in around a 20+dB reduction in audible noise. 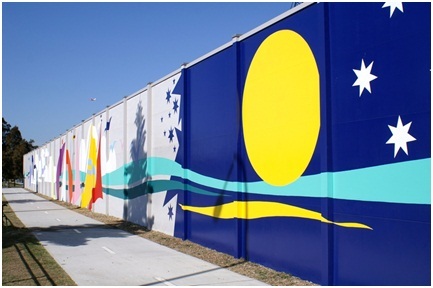 With a maximum wall height of 4.5 meters (Our GuardianWall is used for walls from 4.5 – 9 meters) , BarrierWall has a proven track record in meeting commercial noise reduction requirements with Australia’s largest companies and infrastructure projects. 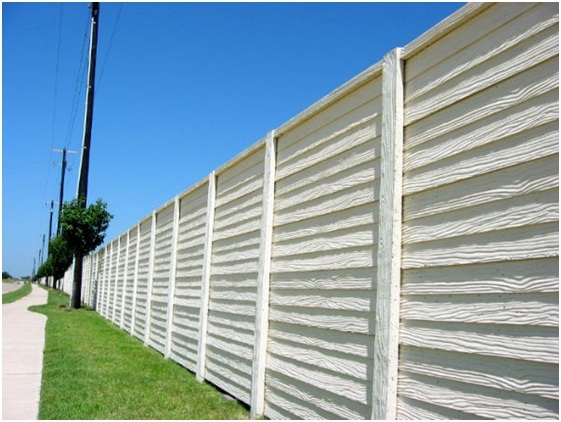 As opposed to solid masonry alternatives as a noise barrier, modular sound reduction panel walls like BarrierWall are very easy and quick to install. 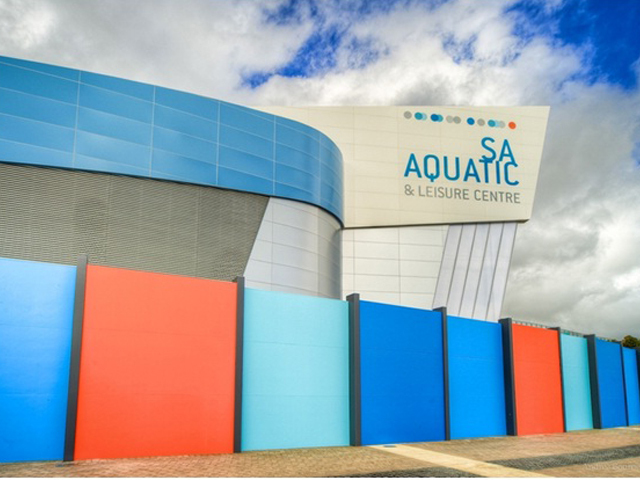 Their lightweight, yet strong and durable composite panels simply slide between the pre-installed lightweight proprietary columns manufactured by Modular Wall Systems. The efficient nature of modular wall installation means considerable cost savings in terms of labour and construction machinery required. Commercial modular wall solutions such as BarrierWall are easily customised with lighting, security cameras, intercoms, gates, etc. They can be painted to created pleasing visual effects when required. No longer does a commercial wall have to look like one. Many businesses across Australia have taken advantage of BarrierWall’s ease of customisation and turned their commercial sound wall into a stunning feature wall. Modular sound panel walls such as those provided by Modular Wall Systems are precision engineered for ease of installation and extended design life. Their robust construction ensures high impact resistance, minimal maintenance and enhanced security around the commercial site. 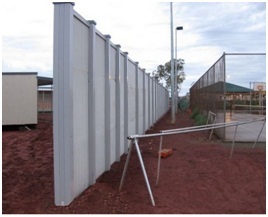 Engineered to withstand extreme weather conditions such as cyclones, BarrierWall sound walls are widely used in even the remotest parts of Australia. The components to construct a Modular Walling System are supplied broken down into a flat pack style form meaning transport is therefore significantly less than masonry alternatives. Due to the lightweight nature a large volume of materials for creating the wall can be transported on the back of a single truck resulting in a logistical and environmental win.